So now on the 5th day home and all is well! I can’t wait to have the staples out on Tuesday! But today isn’t about me. I just wanted to thank all the kids that are participating in the “March For Our Lives”, I think if there is a group that will get Congress to listen it’s our kids! They are the future of America and I truly believe they will save this country, I look at my kids who are socially involved and it amazes me what they can accomplish! Here all I thought they are only interested in video games. So on this day please thank those kids that are making a difference they know what’s up and they ARE going to fix it! I’ve had cellular service on each of the major carriers: Verizon, T-Mobile, Sprint, AT&T. The one constant across each: I don’t use alot of minutes, text or data, and have wound up paying for more than I used. In case you haven’t heard of Ting, and I hadn’t until just recently, Ting was tied for first place by Consumer Reports for traditional (post-paid) cellular plans. Low cost (depending on your usage). Ting offers a rate calculator to estimate your bill before you sign-up, and a useful dashboard for customers to keep track of usage. Excellent customer service (I contacted chat with a technical question… quick & helpful). You can bring your own device (I’m using my unlocked T-Mobile Note 5). Probably not the best choice for a teen, someone who travels frequently, or someone who uses alot of data. Something interesting about Ting: They actively offer advice for ways to limit your usage. One tip: Making calls via Hangouts app over wifi — thus using no Ting voice minutes — this has worked well for me when making outgoing calls from home. I want cellular network coverage where I spend my time (home & work) and great customer service… Ting provides both and I’m pleased with Ting Mobile. If you’d like to try Ting, you can use this referral link to save $25 on your Ting device or Ting service. 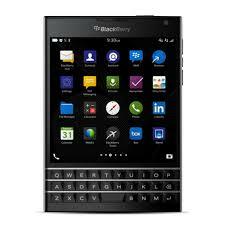 I confess, my initial reaction to news of the BlackBerry Passport release was wonder and some snickering. Had those folks up in Waterloo lost their minds? What on earth could they be thinking releasing such an odd looking phone? And then Passports start shipping to customers and feedback was generally good. Bored with most current phones, I’d recently returned to my trusty BlackBerry Q10. And when the unlocked Passport went back on sale on Amazon for $599, I picked one up. So, now that I have a Passport, what do I think? • BlackBerry Os 10.3 adds nice enhancements and bridges gaps I’d previously experienced. Audible android app works great so I can listen to audiobooks anywhere. My fitbit flex band syncs nicely with the fitbit android app, which is great for tracking my workouts. So far, so good! I’ll post additional thoughts after I’ve used the phone a bit more. By the way, I typed this review on my Passport.